NICEIC and ELECSA’s live cinema event saw a broadcast on the new 18th Edition of the Wiring Regulations beamed via satellite to 40 cinema screens simultaneously, with more than 6,000 electricians from across the UK in attendance. It was the first time such an event had taken place in the sector, with contractors from Aberdeen to Plymouth getting involved and many more in between. Several of the 40 cinema screens sold out in advance with Leeds, Sheffield, Birmingham, Southampton, Bristol and Leicester all recording more than 200 attendees at each location. NICEIC and ELECSA’s marketing Director, Mark Smith, commented, “The introduction of a new standard within the industry is an important time for every electrician. “We wanted to do something unique, affordable and easily accessible to help contractors gain an improved insight into the forthcoming changes. 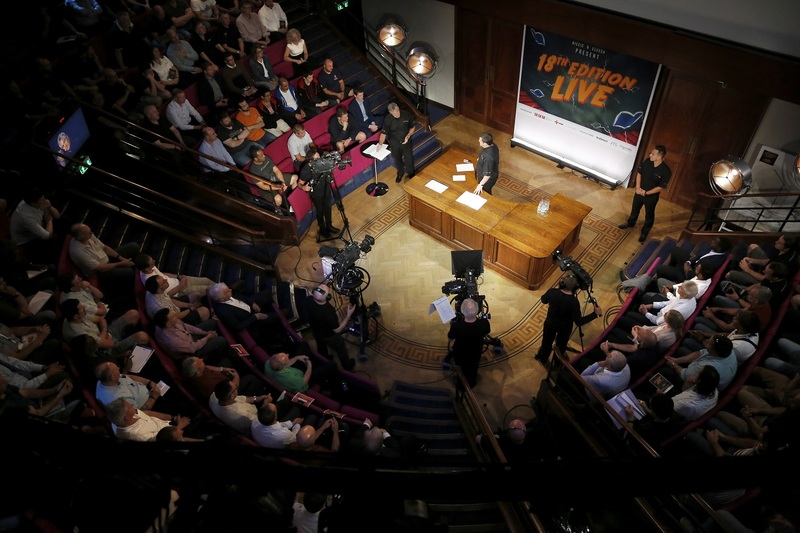 The 18th Edition seminar was broadcast from the Faraday Theatre, in The Royal Institution. Hosted by industry experts Darren Staniforth and Alan Wells, the talk focused on the changes included in the new regulations and what it will mean for electricians in their day-to-day work. It also included a section on the history of electricity, and how Michael Faraday demonstrated his discoveries to the public way back in 1824. “We wanted to create a cinematic experience that was technical based and informative with a bit of fun also,” added Mark. The seminar was hosted by BBC TV star Ore Oduba and featured some key insights from industry experts, including: Mark Coles, head of technical regulations at the IET, Robin Earl from Dehn, Simon Rawlinson from Siemens and David Garrett from Electrium. The seminar went through all seven sections of the new book, with discussions on the major changes in each section. This included discussions on the introduction of Arc Fault Detection Devices (AFDDs) and Surge Protection Devices (SPDs) which have been included as recommendations to improve safety within certain electrical installations.